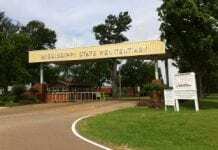 Freshman Mississippi State Representative and farmer to hold special event in hometown of Hernando to announce his decision on his Gubernatorial Bid for 2019. Foster has been touring the state, calling State leaders and turning to Facebook as he nears his announcement. “I run a farm in Love, MS, the farm I grew up on. 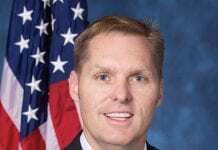 I’m a regular person who went to public school, Ole Miss, and was elected as a State Representative in 2015.” said Foster. 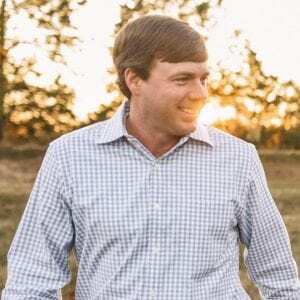 His business and agricultural background experience will be an asset, and his personal life is a story that’s likely to resonate with many Mississippians. 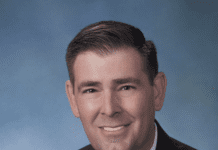 Before taking the reins of his family farm and agritourism business, Cedar Hill Farm, Foster attended DeSoto County Schools and the University of Mississippi. Robert is married to his high school sweetheart, Heather, who spent the early part of her childhood in Purvis, and who was selected as Parent of the Year last year at Oak Grove Central Elementary, where she served as PTA President. They, along with their daughter and son, live in Hernando and attend Hernando Baptist Church. 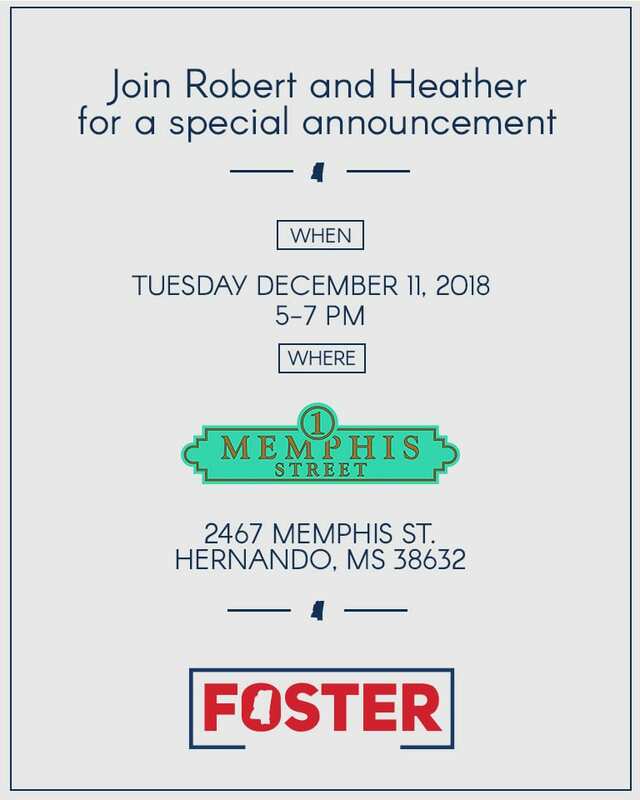 A large group of friends and supporters are expected to attend an official announcement at 1 Memphis Street at 2467 Memphis, St. Hernando, MS 38632 Tuesday, Dec. 11th from 5:00 p.m. until 7:00 p.m.